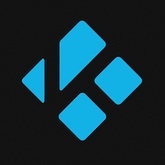 Kodi is the new name for XBMC media center. "Leia" something will be the codename for version 18 of Kodi, just as "Krypton" was the codename for Kodi v17 and "Jarvis" was the codename for Kodi v16". You will often see "v18" and "Leia" used interchangeably in the community. Updated at: Feb. 6, 2019, 8:13 p.m.